Summer is winding down and Labor Day is almost here. Many of us will spend our weekend enjoying one last summer barbecue with friends and family before we head back to school. These tools will ensure this year’s last hurrah is your best yet. One of the trickiest parts of grilling is knowing when the meat is properly cooked. 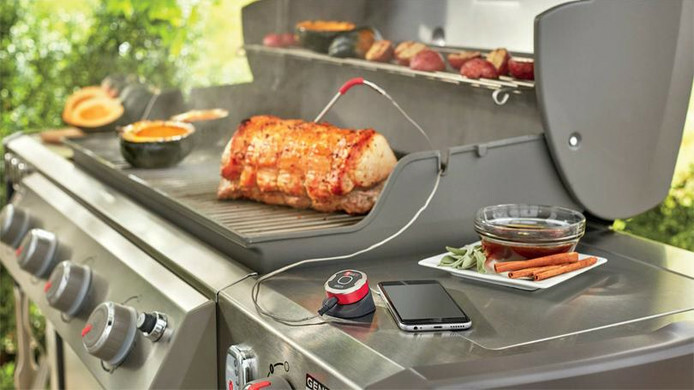 Avoid making your barbecue memorable for all the wrong reasons by using Weber’s iGrill Mini, an app-connected thermometer that monitors your food’s “doneness” and notifies you via text once the food has reached the perfect temperature. Another option is the Maverick Pro-Temp Commercial Thermometer PT-100, a wireless, commercial grade meat thermometer that ensures your food is cooked to perfection. It’s water, dust and shock resistant, and has a temperature range of -40F (-40C) – 450F (230C). The Brookstone Handle-Mount Grill Light is perfect for the guy who doesn’t want the party to end. This weather-resistant grill light has a pivoting, adjustable clamp that clips on to the grill’s handle. It uses battery powered LED bulbs and has two settings, one of which allows the lights to automatically shut off after six minutes so you don’t have to worry about accidentally running down the power. There’s a great debate over charcoal vs. electric smokers, but for many it comes down to personal preference. If you’re a die-hard traditionalist, a wood smoker like Char-Griller’s Premium Kettle Charcoal Grill & Smoker is a great option. If, however, the thought of constantly monitoring the coals is more work than you’re willing to sign up for, the Masterbuilt Bluetooth Digital Electric Smoker may be the answer. Use your smartphone as a remote control via Bluetooth to power the smoker on/off, monitor and control the cooking temperature and duration, switch the food light on/off, and monitor the internal temperature of the foods you’re cooking. Everyone knows having the right tools is important, so say hello to the Grill Wrangler 3-in-1 BBQ Tool, which combines three essential BBQ tools in one: tongs, spatula and fork. They’re definitely low-tech when compared to the other tools in this list, but trust me, sometimes simple tools are the most effective. Raise your hand if you hate cleaning the grill after a cookout. I see a lot of hands, including both of mine. Well, the barbecue gods have heard your cry and sent you the answer to your prayers: the Grillbot, an automatic grill cleaning robot. To use, you simply place the Grillbot on the grill, press a button, and voilà, that’s it. Grillbot’s bristles clean the grates, so no more scrubbing! Features include a built-in LCD alarm and timer and a “brain” that regulates the speed and direction; it operates on a rechargeable battery via an (included) AC adapter. 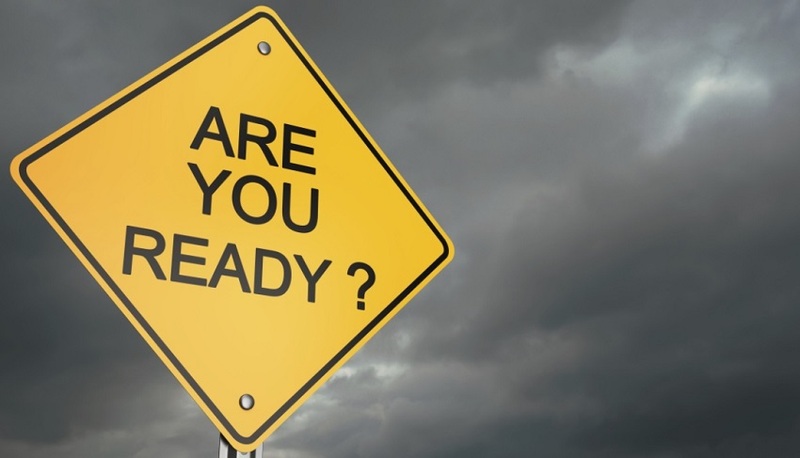 Friday, August 24: Are You Ready for an Emergency? Join @RickGriffin and the MobileLiving team at 3 pm ET (12 noon PT) on Friday, August 24 as we ask chat about Are You Ready for an Emergency? 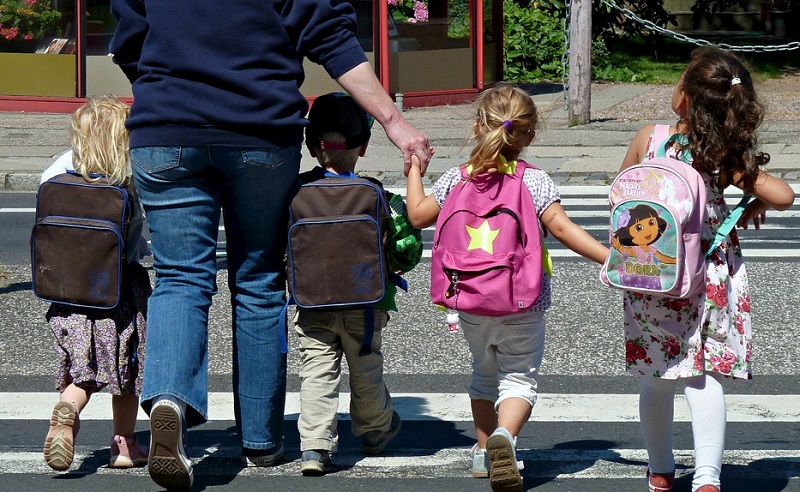 With an increasing number of health scares and weather-related incidents, it’s important for individuals and families to be prepared in case of an emergency. 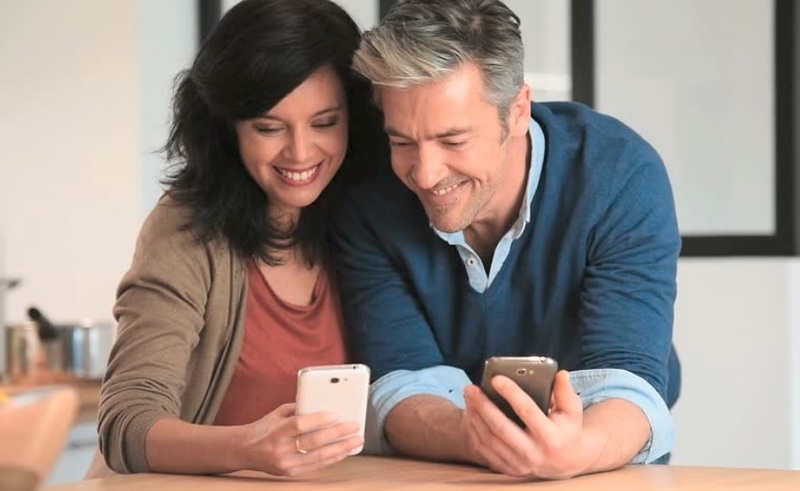 We look at the important role mobile devices can play, and how they keep us in touch with loved ones, allow us to share information, and help us be ready for any eventuality! RSVP and attend the party for a chance to win a pair of JBL Wireless on-ear headphones or a Google Home speaker/assistant! Include the #MobileLiving hash tag in your comments and answers to questions during the chat! If a good night’s sleep is something you dream of – well, you would if you could only fall asleep – these noise-masking sleepbuds and headbands can make those dreams come true. Bose just released the latest in their line of headphones, but their Noise-Masking Sleepbuds are for improving your sleep, not listening to music. They’re tiny, weighing less than half of what my AirPods weigh, just 1.3 grams vs. 4 grams. Users choose a preprogrammed sound on the companion app and the sound plays directly from the Sleepbuds – not streamed from your phone. There are currently 10 soothing sounds to choose from and you can program one to play all night and then wake to an alarm without disturbing your partner. They live up to Bose’s reputation for quality and, of course, come with a Bose price tag. At $249, they’re the most expensive buds on this list. Over the past couple of weeks, a growing number of Instagram users have reported their accounts have been hacked. Hundreds of users have reported being logged out, their handles and profile avatars changed – most often to a character from Disney or Pixar – and their bios deleted. When they try to reset their passwords to protect their accounts from further tampering, they’ve discover their accounts has been linked to a new .ru email address, which is a Russian domain. Instagram was acquired by Facebook back in 2012, and it seems hackers may have focused their attention on the photo-sharing platform in the wake of allegations surrounding Russian hackers’ use of Facebook to influence the 2016 presidential election. Talkwalker, a social media analytics monitoring platform, states that in the last seven days there have been over 5,000 tweets from 899 accounts specifically mentioning the Instagram hacking. Many of these tweets are from users tweeting at Instagram’s Twitter account for help. So far, the hackers haven’t deleted or spammed the victims’ accounts, but it certainly makes it more difficult for the users to regain control of their accounts since Instagram’s automated messages are sent to the newly created email address. Most of those who report being hacked were not using two-factor authentication (2FA), but at least one of them was. More and more often, hackers are utilizing SMS intercepts to bypass 2FA, which is why the US government considers it too insecure a format for 2FA codes and recommends using email instead. 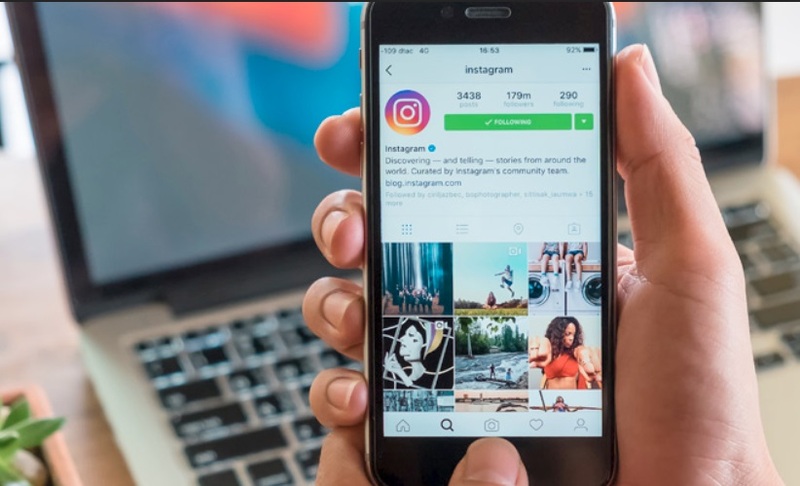 Many users are frustrated and have complained about Instagram’s account recovery process, saying it’s too complicated and time consuming, and have resorted to creating new accounts despite losing their followers by starting over. Join @RickGriffin and the MobileLiving team at 3 pm ET (12 noon PT) on Friday, August 17 as we chat about Making the Most of Your Mobile Lifestyle! We love our smartphones and tablets but are we making the most of everything they have to offer? Join Rick and the team as we look at some of the not-so-obvious benefits of being always connected and explore how we can take our mobile lifestyles to the next level! Include BOTH the #MobileLiving and #VZUp hash tags in your answers to questions during the chat! This week Facebook followed through with its promise of adding AR (Augmented Reality) games to its Messenger app. 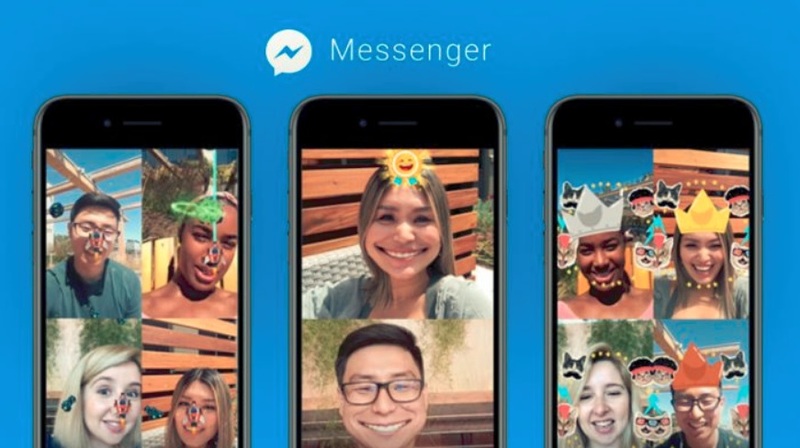 The games are similar to Snapchat’s multiplayer games that use your camera to animate your face in real-time during a Messenger video chat. “Asteroids Attack” and “Don’t Smile” are the first two to be released, with new games including “Beach Bump” and “Kitten Kraze” rolling out over the next several weeks. Each game can be played by up to six people within in a single chat. Play is very simple. Open a chat and tap the star icon at the bottom of the screen. Available games are displayed and users simply tap the icon of the game to be played. “Don’t Smile” is exactly what you think – the first person to smile has their face turned into a joker-like cartoon grin and the opponent gets the win. In “Asteroids Attack,” you perch a 3D spaceship on the tip of your nose and dodge asteroids as you fly through space, powering up with laser beams as you go. You can grab screenshots and post them to the chat while you play. The games are not quite as robust as Snapchat’s offerings. Snapchat’s “Snappables” fill the screen, while Facebook overlays the AR graphics on the user’s face or background of the shot and are intentionally designed for split-screen multiplayer use. The AR games are a separate entity from Facebook Messenger’s Instant Games platform, which allows users to play arcade classics like Tetris alongside new games users can play alone and then challenge their friends to beat their high-scores. As of now, there are no in-app purchases, ads or sponsor branding but it’s unlikely that Facebook will leave such a valuable potential revenue stream untapped. Facebook brought in $33.84 billion in ad revenue worldwide between 2014 to 2018. And, because Facebook acquired Instagram back in 2012, it’s likely that at some point over the next several months they’ll start rolling out versions of these AR games for that platform as well, especially since Instagram’s 2018 ad revenues are projected to come in at roughly $6.84 billion U.S. dollars. Join @RickGriffin and the MobileLiving team at 3 pm ET (12 noon PT) on Friday, August 3 as we chat about Emerging Mobile Technology! 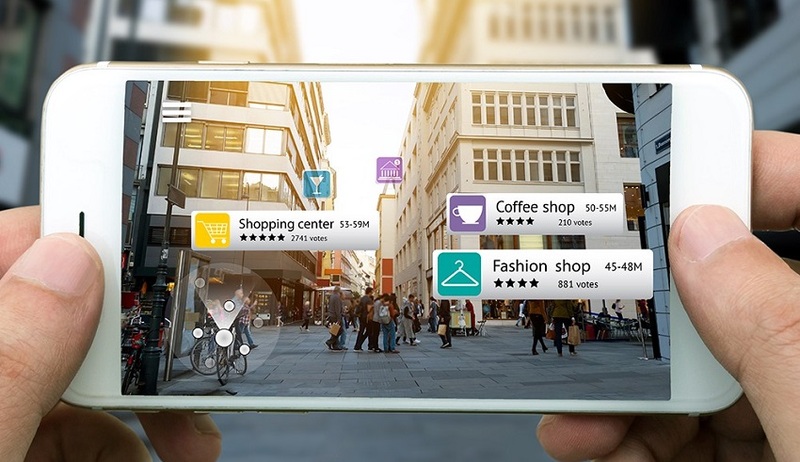 Augmented reality (AR) apps, artificial intelligence (AI), facial recognition, 5G networks…these are just some of the emerging technologies that will transform the personal tech landscape in the years to come. Join us as we explore these new technologies and examine the potential benefits for the mobile lifestyle! RSVP and attend the party for a chance to win a pair of Samsung Level On PRO wireless headphones or a UE Boom 2 Bluetooth speaker!